How to be totally thinking on what comes next without loosing your shirt? The professionals know how to put the components together? Let’s look at major player’s in real estate who learn all there is about investing ! Those that have done it in the pass Bloomberg,Donald Bren and Stephen Ross just to name a few. They knew how to find the winner’s circle by learning the facts early in the game the numbers need to add up. My best play book is getting yourself to think outside the box know the details of real estate investing. This will give you a better understanding when a deal comes your way in putting the pieces together. Who will get the profit and which person will experience the loss? Why stop in the middle of the road when you can start practically anywhere try the steps and not re-inventing the wheel. Veterans Lets Applaud Them For Keeping Us Safe And Reward Them With Shelter Affordable Homes & A Meals Program. The tick tock sound you can hear like a clock see the birdie fly out the clock time is of the essence lets get the job done. My plight can be tremendous at times but I can not give up the fight we all need shelter and deserve a place to call home. My song shall go on like a beacon light off the shore in a tower house near and far a distant land or maybe next door. There comes a time we all must stand and salute those that gave their lives to protect and defend our cause freedom. Let a cautionary tale be told can you see the dream of a life-time to donate such a real cause for veterans the soil beneath us they make life possible each and everyday. Who else can see the truth and participate in helping our soldiers get the necessities like air and water. This can not be disputed as a luxury,but a must have do you see why I cry they do need our help! Today will you be counted in or out come closer mingled in despair do you dear care or fizzle out. Nationwide the pain grows from sea to shore I do adore the land of the free that is me building a bridge for those people who shed blood. Do I run away or dig my heels in the dirt? I see the clouds floating high in the sky white fluffy so soft color great to behold than drifting between the spaces I can get a glance at light blue background seem so close I could reach out and touch them. Whoever said life is complex did not see the simple things so small you could miss them when you do not pay attention? Therefore the complete circle the veterans and the people that honor them now P.L.E.A.S.E Donate get the word out. However the door swings see a worthy fight jump right in big or small this is a call to action do not fall,but stand tall in the final hour. Our veterans need us to house and feed them will there be one out of hundred will that be you? This can be a glorious victory for all involved to be a part of a dream made whole my hope is to give tribute to our veterans set a fire. There are those I hope feel the same way and care enough to join the fight and house our soldiers and feed them. My hope is to show love to them by removing one element they do not have to give concern about food and shelter. We are naturally a nation of folks that care about things on a large scale whether it’s personal or just the simple things in life. Why not be a part of helping the quality of life for one another when you can help the out come for someone else? How rewarding being a team player is like playing a football game and tossing the ball at 50 yard stretch with few seconds left to win the game? Who wants to be the hero and feel the adrenaline rush ride in on bird wings soar high? Looking beyond the grand scope of things one can see others plight in life remove your needs and wants to see the total picture this I plead leaning on a higher ground life is not perfect, but we can lend a helping hand once in a while for those that may need us to do so. Donate and get the word out pass it on help with making a reality 5 homes for veterans and meals program one women’s wish set with a plan. Let’s unite and bring the dream alive this I stand for my dad and grandfather they served and are gone,but not forgotten. the cost is love like a lonesome dove scatter and running hard to those that will listen. Nor will I give up the fight just dig my heels in the dirt and shift my weight from side to side waiting on impact hit direct by and invisible enemy,but I will not be afraid. People often judge what they can not conceive to be the truth why I ask do we feel alone in this big world or been burned to many times. Therefore, we turn and walk away automatically when someone ask for help like a defense against not wanting to feel vulnerable to the request for help. Please ask yourself where would I be if, someone did not help me lost or worse. Once again I extend my hand let’s all stand together donate right now join in the fight. 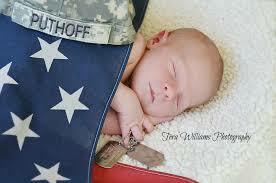 Donate to a veterans cause affordable homes & meals program. We the American people are united as one history has been written a long time ago. The greats are among the dead presidents one person comes to my mind JFK. He was a great president and one of the best men the United States had ever known let history be told a fair man by many folks. I believe JFK gave people a chance look at Martin Luther King they knew of each other and showed respect in their daily dealings for one another. Why are the veterans so important to us because they are our bread and butter? Which can substain us from hunger and war all so equally deadly almost like a common factor one can kill you slowly from starvation the other will destroy within lack of freedom? My destiny for veterans grabs a hold of the cause affordable homes & meals program this is the way of honoring them. This is simple feed them so they can live and give a roof over their heads and warm shelter. There are people that care I see a storm brewing no veteran should be homeless when they have fought for me and you to be free. These are the glory days can you hear the drum it beats loudly the call is thunder and lightly hitting falling ever so gentle on the land. Those that answer the very sound are humanitarians who make a stand are investing in the nourishing of our soldiers. Look not to the left or right but within ourselves stand and deliver say yes long overdue this is our story. Therefore wrestle your own self down do the very thing show love for another in helping their plight. Do soldiers on the battlefield question what must be done or just reacts? They have made hard decisions in war and never waiver from the cause keep up the fight. Donate to this fight their cause decent shelter and food for their bellies and give them the strength to live on and see a brighter horizon. However, the words swirls in your mind don’t be blind and the veterans are unique one of a kind so now we serve them. Please show them love like a mother does her child protect them from the lonely streets and give them their needs a grown eagle do for the baby bird and gave a worm because the baby bird is unable to fend for its self many levels of caring enough to get the job done. Truth is knowledge are you up to the challenge come join the cause can you see this right now. Our veterans are the seeds that fought on the battlefield they deserve shelter and affordable homes. How are we to turn a blind eye and act as though this does not matter? Do we all have a conscious or moral compass that will guide us to the truth? I see what our veterans did for me alone. What do you see the great gift called freedom and a choice to choose your fate called life to some extent. This can be confusing when you must make choices about life’s many questions and giving the right answer. My experience way heavily on my actions do you hear me now or did you just leave the room. Why do I know most people are descent folks when presented with the obvious things like who gave us a chance to live and fought our wars. 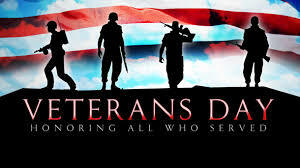 The veterans are the corner stones of our lives at the core of you very existence to live today in a paralyzed society. Who has taken the enemy fire and made it their own plight and fight soared like eagles in the sky never asked what should he or she must do. as though war has depleted them of their lives. So, whom am I the voice of reason my cause should be understandable and obtainable please join me in getting our veterans 5 homes and a meals program. This I tell you make a bridge you must build one body at a time use our arms,legs and feet to cement to each other carry the torch of a cause like no other. However, you see this make no mistake we all owe them as long as there is air in your lungs you live;because some veteran died in your place so we could win the human race. I’m a strong believer leave no rock unturned and exhaust all avenues when you are fighting for a just cause our veterans. There are no looser’s just winner’s when you ban together as one pass on the word to each other Donations are needed for this fight. Please help us get housing for our veterans and a meals program. Thank you with all my might I bid you goodnight. How many veterans do you know right now? Why should we help veterans get affordable homes? Who really care about our fellow veterans? These are just a few questions we need to ask ourselves. Do you have any members in your family that served in the armed forces? We the human being population and whole nation need to pay if forward for our soldiers they had given us so much freedom. That we the american people might of taken for granted so many soldiers loss their lives fighting a good fight. This is something that i see a need for veterans to have affordable homes and a meal program. Yes, we should feed our soldiers too they have earned the right to have a place they call home. The very best treatment from all would be nice;unfortunately we do not always get what we deserve in the end. However lets all make a sound decision where we can agree to exam the problems at hand. Keeping in mind the task set forth donating to great cause . Please get the word out pass on the information what will it hurt do your part.